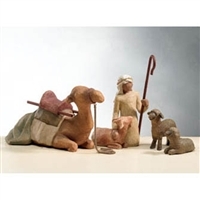 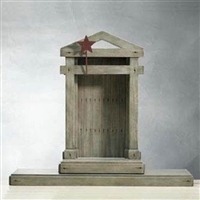 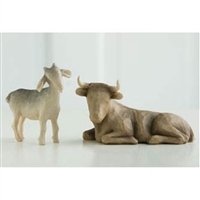 Retired Willow Tree Christmas Figurines, Nativity Scene Sets & Creche | K. Kannon Co.
At times, the religious aspect of Christmas can be lost in the shuffle when people who celebrate the holiday stress over preparing for the day’s events. 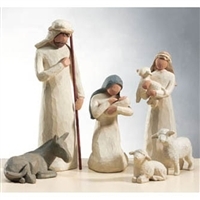 One way to commemorate the origin of Christmas Day is featuring willow tree nativity figurines around your home during the Christmas Season. 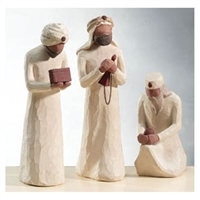 The hand carved willow tree figures from K. Kannon come in a variety of depictions, including a 3 piece set of the three wise men, a representation piece of the star of Bethlehem and platform models of the nativity scene. 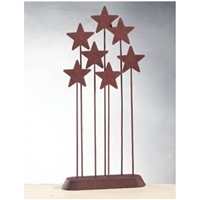 Some customers choose to collect and combine the pieces into one stellar display, while others are drawn to individual pieces that serve as a unique representation of a special holiday for their traditions and beliefs.